A real entertainment piece. 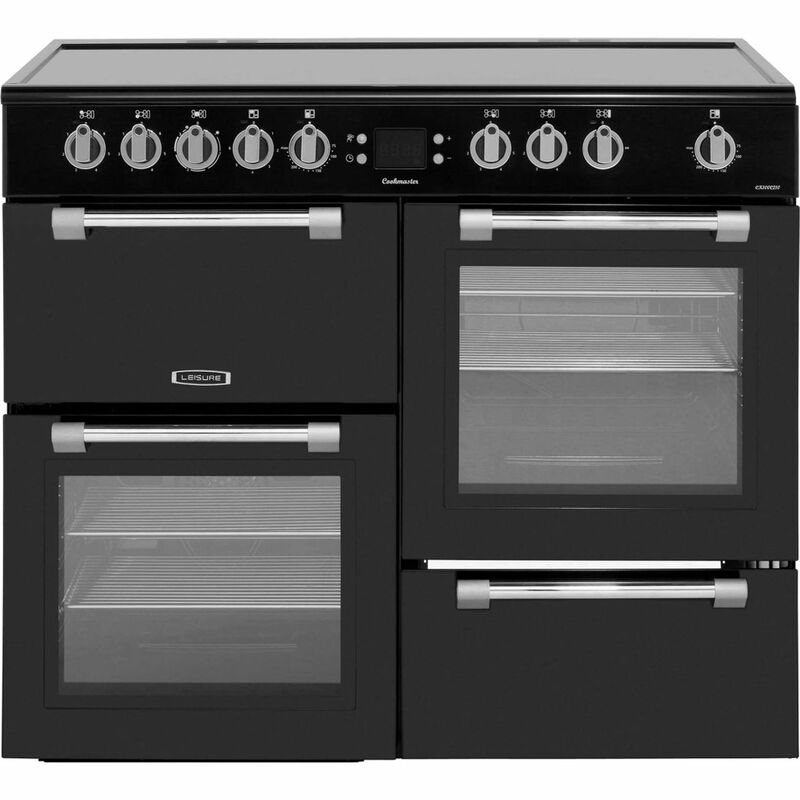 Engineered for hosting dinner parties and rustling up culinary delights, the stylish CK100C210K is a well equipped range cooker. 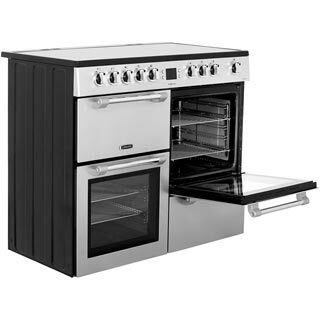 From the vast 5 zone hob, to the 57 litre fan oven, you have a wealth of cooking options. 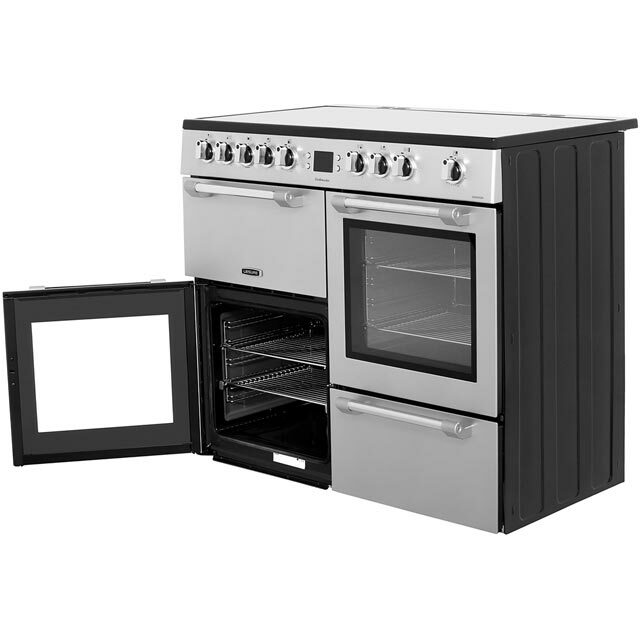 It also has a conventional oven, perfect for cooking traditional dishes. 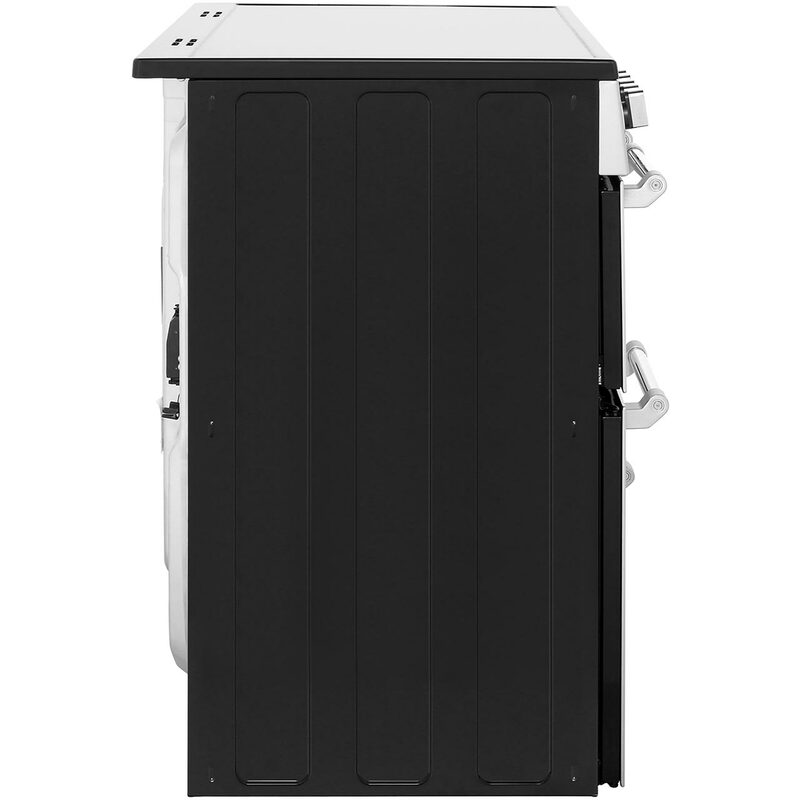 And you can even maximise space in your kitchen with the useful storage compartment for pots and pans – keeping your kitchen décor spotless. 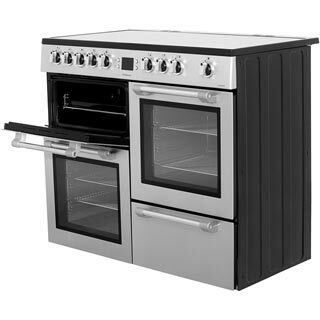 "Our new cooker arrived within the timescale stated. Two very nice delivery men made short work of removing our old cooker and installing the new one. The cooker was exactly what I had hoped for. 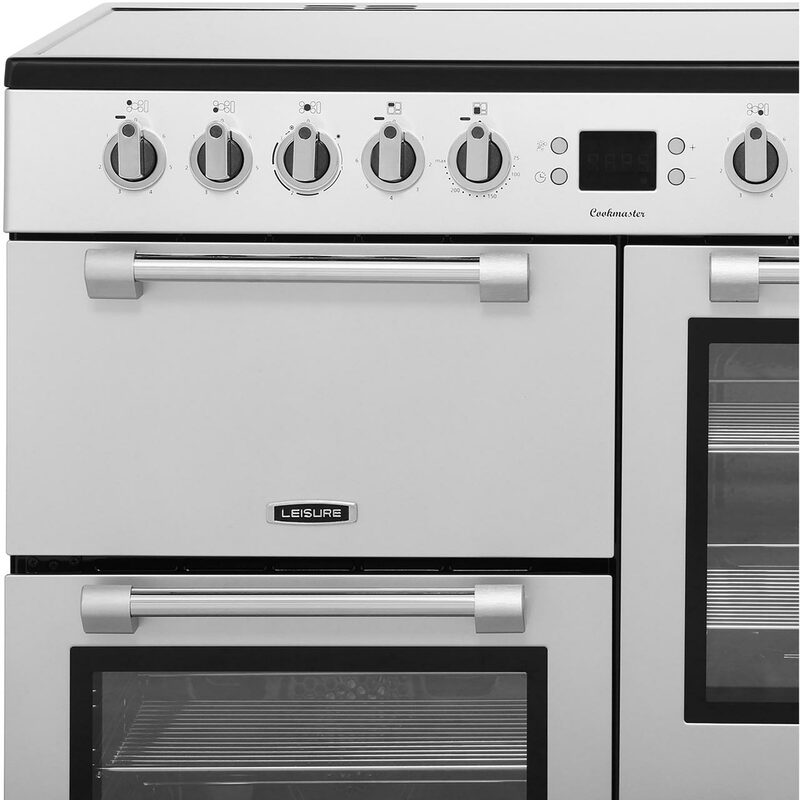 It looked great and I was impressed by the knobs which were solid instead of loose flimsy ones that I see on many other cookers. 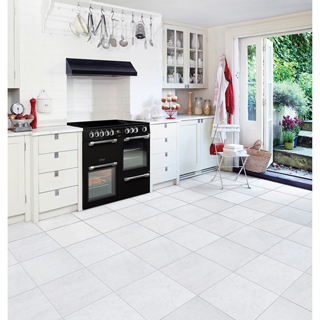 I love the ceramic hob and the slid shelf in the fan over is a wonderful idea. I was a bit confused when a fan kept going 15 minutes after I had turned the oven off. After a quick phone call to ao I was advised that it was usual to help cool the oven. 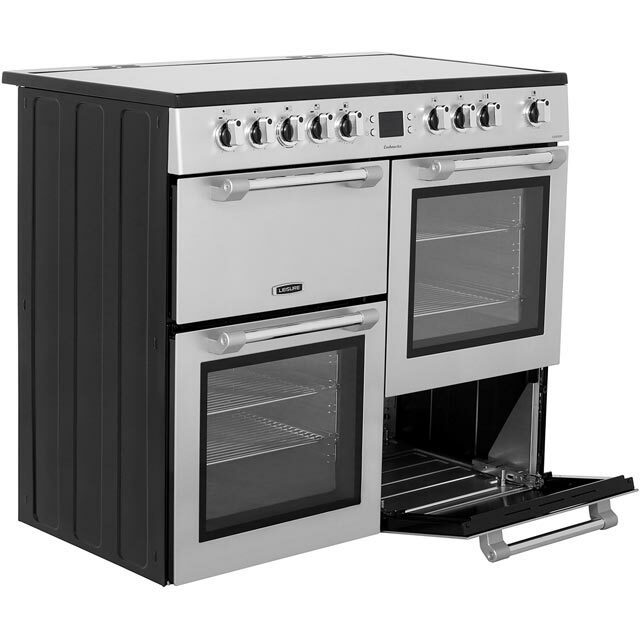 All in all my new leisure range cooker is great, this is the second one I have owned and I would definitely recommend it to anyone." "Superb cooker ... 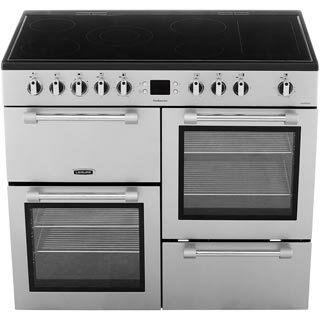 Wife has always wanted a range cooker and she loves it !!!" 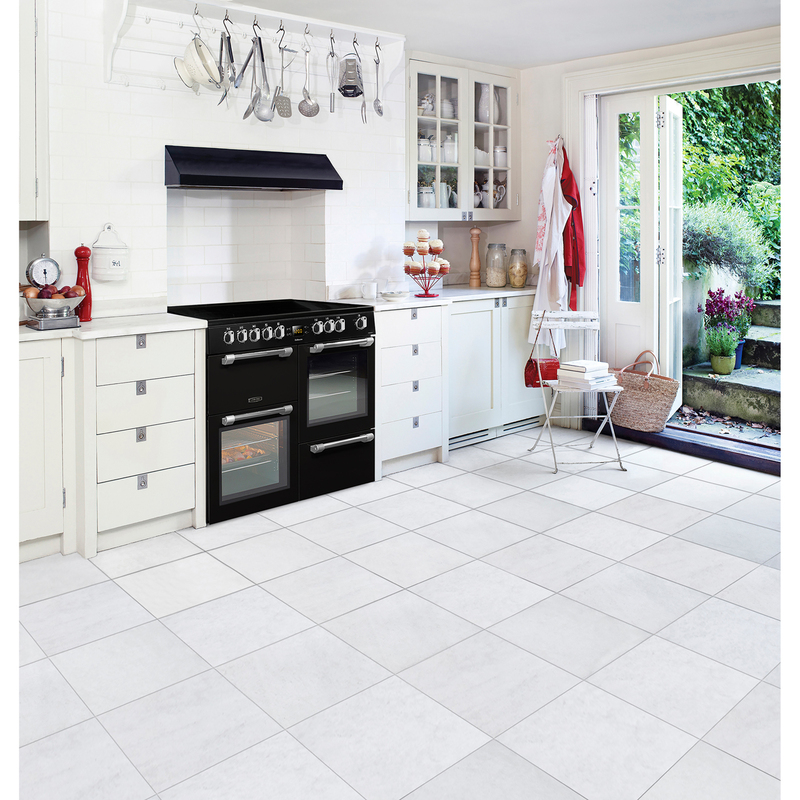 "Oven delivered promptly and with minimal fuss. It is however a disappointment. 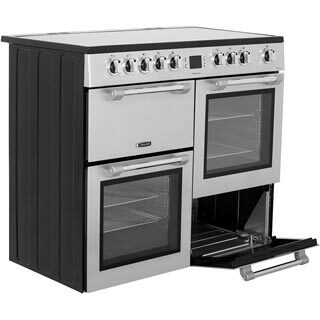 Compared to my last cooker, a Belling, the oven takes considerably longer to both preheat and cook the food. The fan is also quite loud. The grill is also inferior and only fits about 4 slices of bread. The plus points are the build quality is solid, the rings are very responsive and the look is classic." 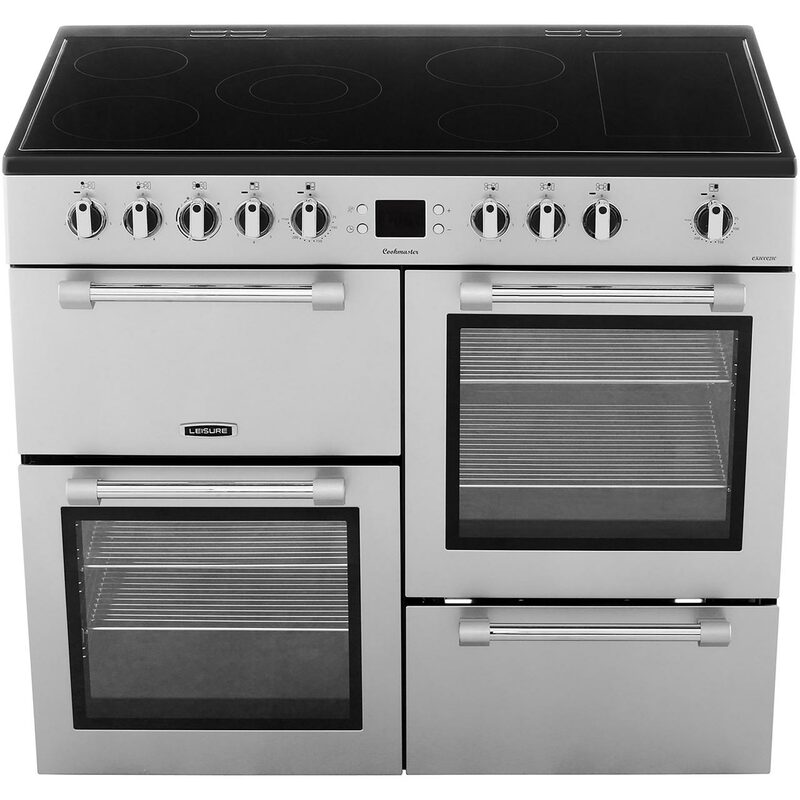 "We had a few range cookers in the past, all have meant well but suffered from niggles and failures (always when you need it the most - disasters at Christmas!) This unit (unlike many in this price bracket) is well built and sturdy - ideally it needs two people to move btw. Item was delivered in robust packaging and the delivery guys were amazing, having to negotiate a narrow hall. Can’t fault them to be fair as they went above and beyond. 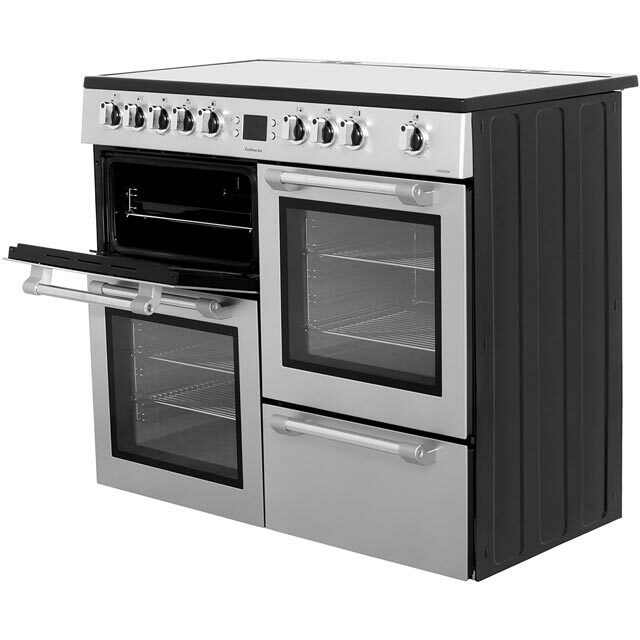 Installation was very straight forward and after a wipe down inside and out, burning the two ovens in was a breeze. The ceramic hob is fantastic, huge amounts of room, well spaced out with the great dual zone central ring for larger pots and pans. The warming place is great too. 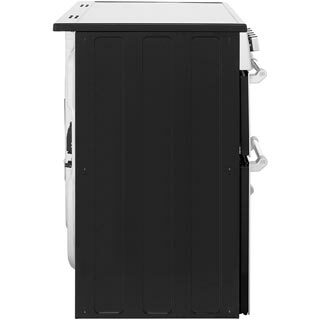 Visually the unit is very smart and really gives the kitchen a new dynamic. Really impressed with how well sealed the hob is (in comparison to other makes). The grill is great and heats evenly - you get a grill pan btw but it very small so is adequate for most things but larger families may wish to by a wider/deeper pan (eBay). 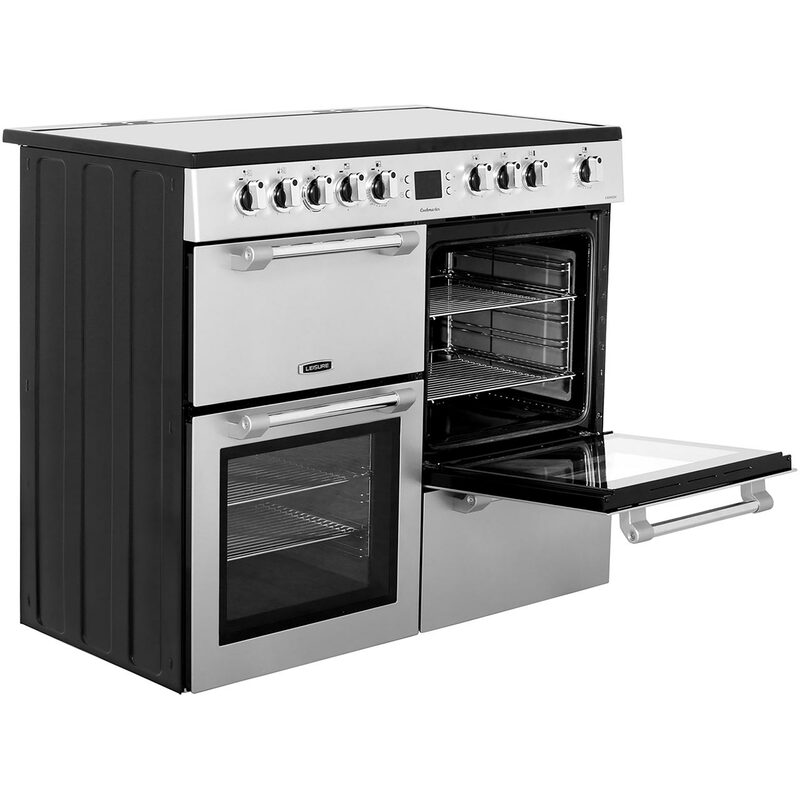 The main fan oven is brilliant and has a pullout grill shelf which is really handy when checking on things during the cook. The unit has an auto shutoff timer on the fan oven which is good. 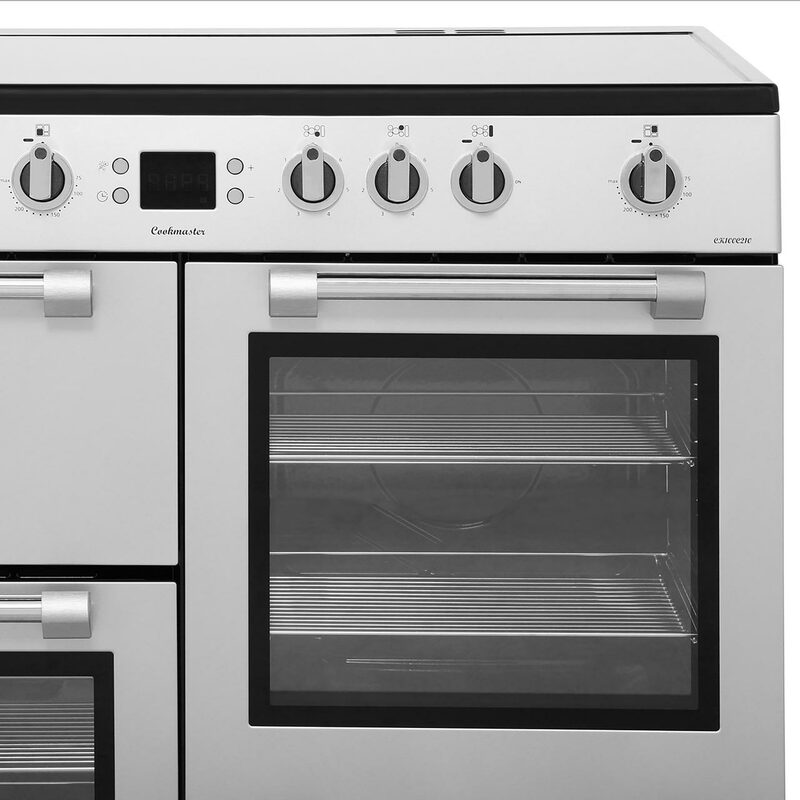 The conventional oven is spacious and the variance in heat zones isn’t actually that extreme as it seems to circulate well - obviously top shelf is hottest. 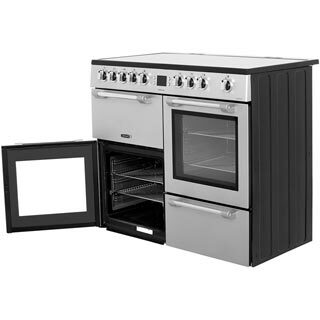 If you’re familiar with cooking in a non fan assisted oven, you’ll love this one. 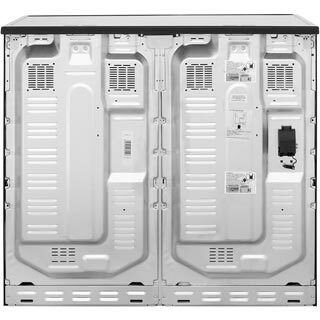 Storage compartment at bottom is almost Tardis like as at first glance I thought it would be small - I was wrong! Lots of room - you won’t get the kitchen sink in there, but all your trays, etc. will get swallowed up. Overall it looks great and performs well, just make sure you clean it down first and burn the ovens in at full heat for 1 or 2 hours each - the book says 30 minutes but that won’t be long enough. Finally a note on why I bought this from AO - good price but importantly when they say they have product in stock - they do! Unlike a few other sellers that take your order and then revise their deliver date to a month later! " "So far I haven’t found anything I don’t like about it contemplated for weeks about what kind of cooker to choose then went to my local store to view what I liked so pleased I chose leisure all electric range cooker it looks good and is easy to use."